This is a perfect book to fire the imagination of readers of all ages. Filled with fascinating and highly Google-able locations and history, this book will inspire anyone to learn and experience more for themselves. Kitty Hawk and the Curse of the Yukon Gold is the thrilling first installment in a young adult series of adventure mystery stories by Iain Reading. This first book of the Kitty Hawk Flying Detective Agency Series introduces Kitty Hawk, an intrepid teenage pilot with her own De Havilland Beaver seaplane and a nose for mystery and intrigue. A cross between Amelia Earhart, Nancy Drew and Pippi Longstocking. Kitty is a quirky young heroine with boundless curiosity and a knack for getting herself into all kinds of precarious situations. After leaving her home in the western Canadian fishing village of Tofino to spend the summer in Alaska studying humpback whales Kitty finds herself caught up in an unforgettable adventure involving stolen gold, devious criminals, ghostly shipwrecks, and bone-chilling curses. Kitty's adventure begins with the lingering mystery of a sunken ship called the Clara Nevada. As the plot continues to unfold, this spirited story will have armchair explorers and amateur detectives alike anxiously following every twist and turn as they are swept along through the history of the Klondike Gold rush to a suspenseful final climatic chase across the rugged terrain of Canada's Yukon. 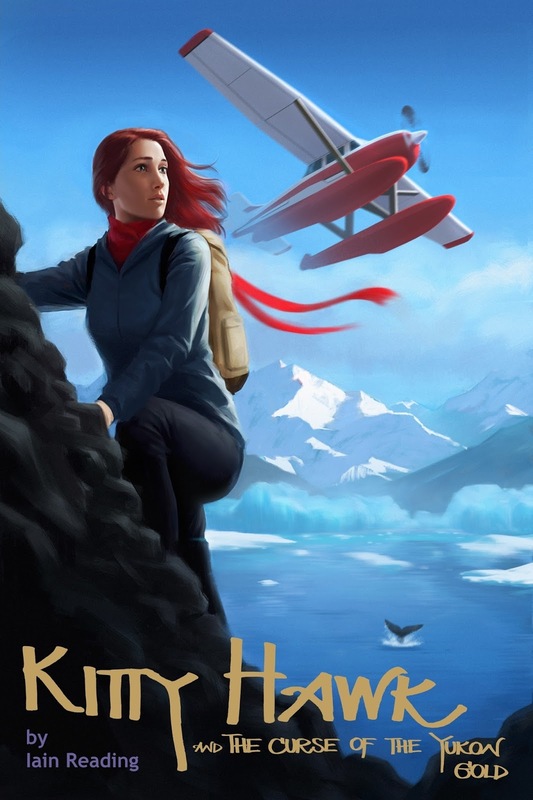 I really enjoyed this fast-paced adventure with Kitty Hawk, a determined, spunky teenager who flies her own plane from Tofino, B.C. 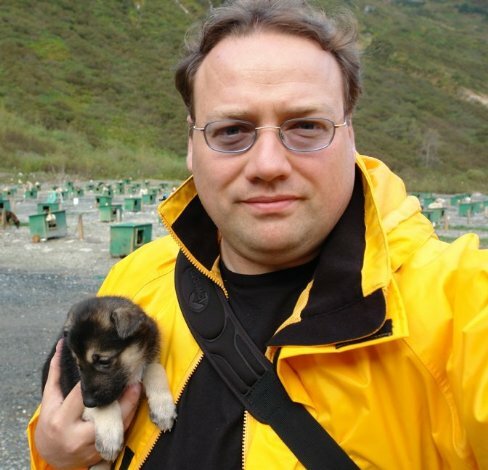 ("where North America meets the ocean") and goes on an Alaskan adventure to study humpback whales. Little does she know what awaits – sunken treasure, stolen gold, new friends, and a Canadian history lesson. The very readable chapters are short and the titles intriguing. Two that I particularly liked are A Symphony of Pale Green Fire and Big Macs, California Rolls and Sushi Snobs. I loved the descriptions, particularly of the whales breaching (coming out of the water). The exhilaration I felt on seeing them for the first time was vividly brought back to me. And I learned that whales leave 'footprints' on the surface of the water. "A 'footprint' is an area of water disturbed by the huge body of the humpback whale that leaves a distinct area on the water that slowly dissipates." I'm impressed that a male author can convincingly write in the voice of a teenage girl! Kitty is a strong female character. I liked her. This book not only an adventure and mystery tale, it is hugely educational, too. I learned so much about whales, the Yukon, Alaska, and the Klondike gold rush. Even though this is considered a Y/A book, I highly recommend it to people of all ages – armchair adventurers and amateur sleuths alike.